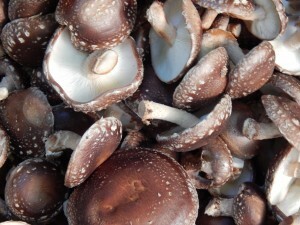 The cultivation of shiitake mushrooms offers farmers and woodlot owners a good opportunity to utilize their forested lands while turning a profit. Start up costs are low, and previous Cornell research indicates that profitability can be achieved in the second or third year of dedicated production. As with any farming venture, viability is achieved with good business planning and attention to strategies which minimize costs and optimize efficiency. Those who attend one of the workshops or the online livestream are eligible to participate in an advanced training group and receive one-on-one support for the 2018 growing season. Details of this opportunity will be provided at the workshop. Workshops run from 9am to 4pm, with a catered lunch included. Funding for this project is provided by the USDA Specialty Crop Block Grant and administered through the New York Farm Viability Institute.